Stars. What are they good for? The 2012 recruiting class marches on. The biggest news since our last update has been the bad vibes surrounding the strange saga of OH OL Kyle Kalis balanced out somewhat by the commitments of OH LB Luke Roberts and OH OL/DL Patrick Elflein. Despite the commitments, the current feeling on the class is still slanting negative for various reasons. First and most importantly, Ohio State still needs to add some offensive tackles to the roster… and soon, making the pain from the loss of Kalis even more acute. On top of that, some Ohio State fans were less than enthusiastic about the most recent commitments because they came from non highly rated recruits. Disappointment at the loss of an extremely talented player in a position of need is one thing, but disappointment over receiving commitments from lower ranked recruits is an unnecessary emotion, and here’s why. 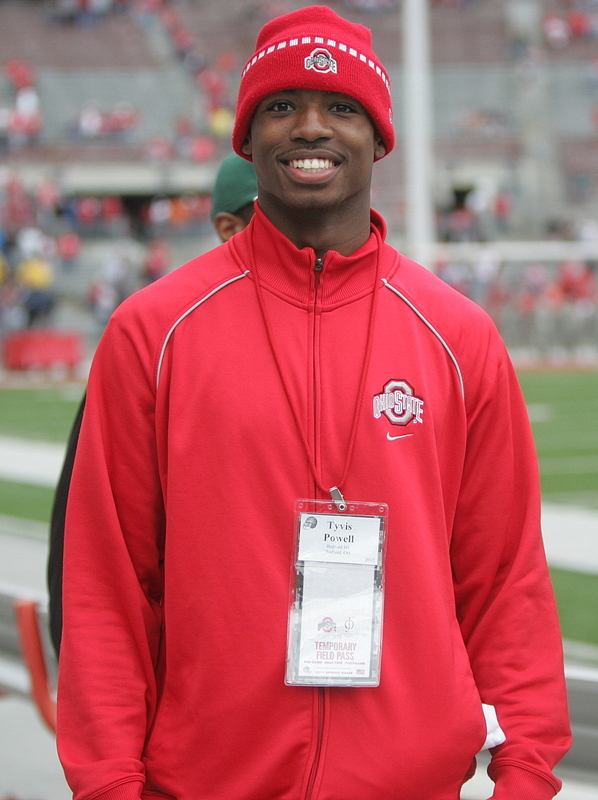 OH DB Tyvis Powell received on offer after camping in Columbus over the weekend. I like his sense of style already. There are plenty of things to go over in this update, including new offers in the 2012 and 2013 class, so let’s jump right in. While it initially seemed like there was no way that Alabama QB Jameis Winston was going to leave his home state, after visiting Columbus over the weekend he had some very positive things to say about the Buckeyes and he would like to set up another official visit for the Wisconsin game. With CA QB Shane Dillon out of the picture, it looks like Ohio State may still be in on a QB prospect in 2012 after all. While I don’t think the Buckeyes are the favorite at this point or even close to it, Winston is clearly very interested in the Buckeyes and it could turn into an interesting recruitment to say the least. Could we get some revenge for Trey DePriest? GA WR Jaquay Williams is scheduled to announce his college decision this weekend. He will likely be choosing between Ohio State and Auburn. Players that wait until the end of the recruiting process usually don’t gravitate towards Columbus, but Tressel and company have a much higher success rate with players who commit early. The Buckeyes have been one of Williams’ favorites since the beginning, so fingers crossed. One thing worth noting is that if he is choosing between Ohio State and Auburn, you have to assume that any possible future sanctions aren’t a concern for him.